Schlesinger was a Harvard University history professor, whose Pulitzer Prize-winning The Age of Jackson (1946) and The Age of Roosevelt (1957–1960) are masterpieces of American history. 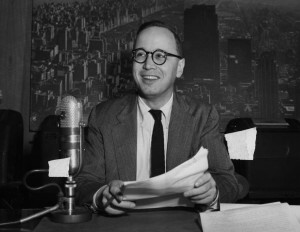 Schlesinger was no ivory-tower academic, but served as an adviser to Adlai Stevenson and John F. Kennedy. Schlesinger’s history of the Kennedy administration, A Thousand Days: John F. Kennedy in the White House (1965), also won a Pulitzer Prize.